"Tender's billing and dunning management system enables us to save development time, decrease our support tickets and increase revenue while gaining insight into valuable retention metrics." Tender gives you all of Stripe's missing features in a single product. 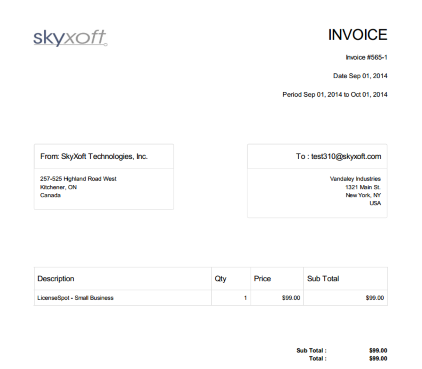 Email PDF invoices, invoice history widget, customer profile widget, taxes and discount handling, email dunning, email snippets, rules and conditions and metrics. 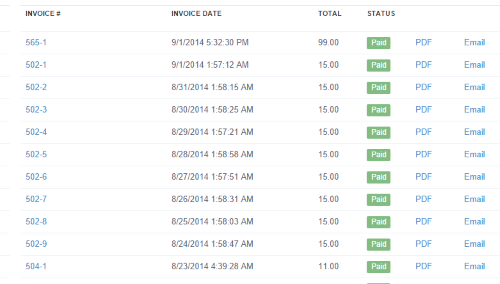 "Just integrated Tender for PDF invoice history. Super easy and looks great. Nice job." Risk free, 14 day trial! Yes. 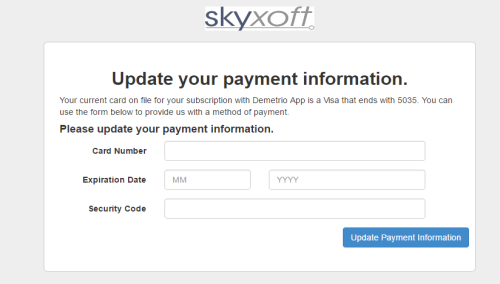 Simply click on the “Your Account” on the top menu and you'll see the options. Send an email to hello@tender.io and we'll help you out. 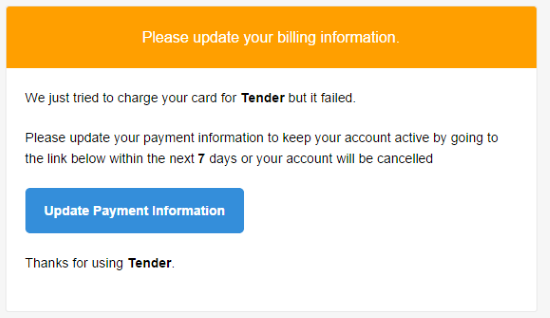 Tender is a Stripe add-on that provides email PDF invoices, invoice history widget, customer profile widget, taxes and discount handling, email dunning, email snippets, rules and conditions and metrics.